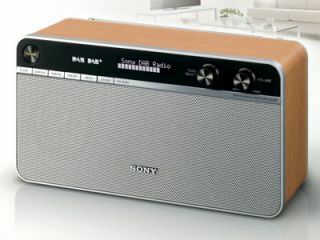 Sony introduces its first DAB+ radios | What Hi-Fi? Sony is introducing its first DAB+ portable radios, the XDR-S16DBP (above) and XDR-C706DBP. Both have DAB+ and FM tuners, the former using a more efficient form of encoding for enhanced sound quality. DAB+ is being rolled out across several European countries, although it's not yet available in the UK. The stereo XDR-S16DBP has a wooden cabinet, 10 DAB/DAB+ presets, plus a further ten presets for FM stations. There's also a sleep timer, headphone jack and LCD display. The XDR-C706DBP clock radio has the same number of presets as its sibling, a snooze button, and up to four separate alarm settings can be programmed.